Utah-based Safari Hospitality has purchased The Ranch, 5601 N. Washington, executing its first purchase in the state of Oklahoma. At the time of the acquisition, construction of the property was about 70 percent complete. The company has partnered with Western States Lodging and Management, which operates 20 senior living developments around the nation. Safari plans to finish construction and open in the Fall of 2019. Some amenities afforded to residents will be a fitness center, walking trails, dining venues, and a library among others. Girma Moaning of Price Edwards & Company handled the transaction. 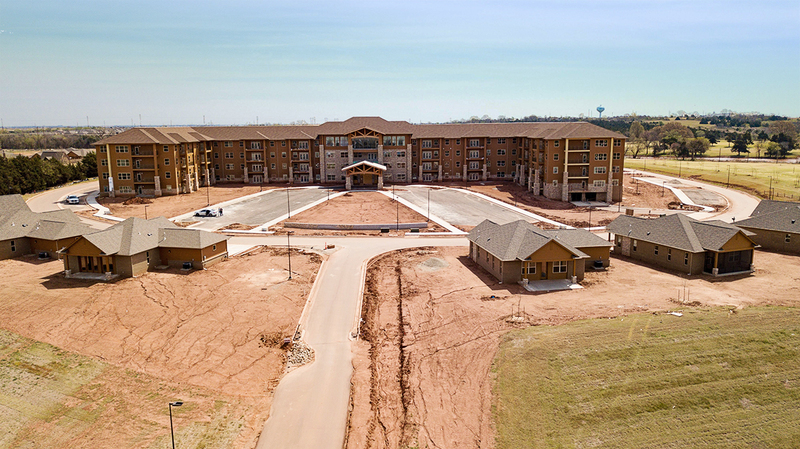 The Price Edwards & Company has brokered the sale of the Sunridge Estates Apartments, located in Enid, Oklahoma. Built in 1996, Sunridge Estates is a spacious 133-unit apartment community consisting of two and three bedroom units. With plans to upgrade the look of the apartment community, Sunridge Estates is well-positioned for success in a growing community. The Price Edwards & Company Multifamily Investment Team consisting of David Dirkschneider and Michael Massad handled the transaction. GHIGAU, LLC paid $1,375,000 to Charles W. & Michell Culbreath Revocable Trust for an office building at 3501 S. Yale, Tulsa. GHIGAU, LLC will remodel the single-story, 9,617 SF building to house its obstetrics and gynecology practice. Tanda Francis of Price Edwards & Company - Tulsa handled the transaction. Tulsa-based law firm Doerner, Saunders, Daniels & Anderson, L.L.P. recently executed a lease for 9,757 square feet at Oklahoma Tower in downtown Oklahoma City. The law firm was founded in Indian Territory before Oklahoma became a state. The firm maintains offices in Tulsa, Oklahoma City, and Norman. The lease provides considerable expansion flexibility as the firm seeks to grow its presence in Oklahoma City. Craig Tucker of Price Edwards & Company represented the firm in its search and negotiations with the building’s owner, Oklahoma Tower Realty Investors, L.L.C. In February Vintage Stock signed a new 8,100 square foot lease at Walnut Square at I-240 and S. Pennsylvania in Oklahoma City. By securing the new lease, the property will experience a minimal amount of downtime as Vintage Stock intends to open in April. Ev Ernst of Price Edwards & Company handled the transaction.